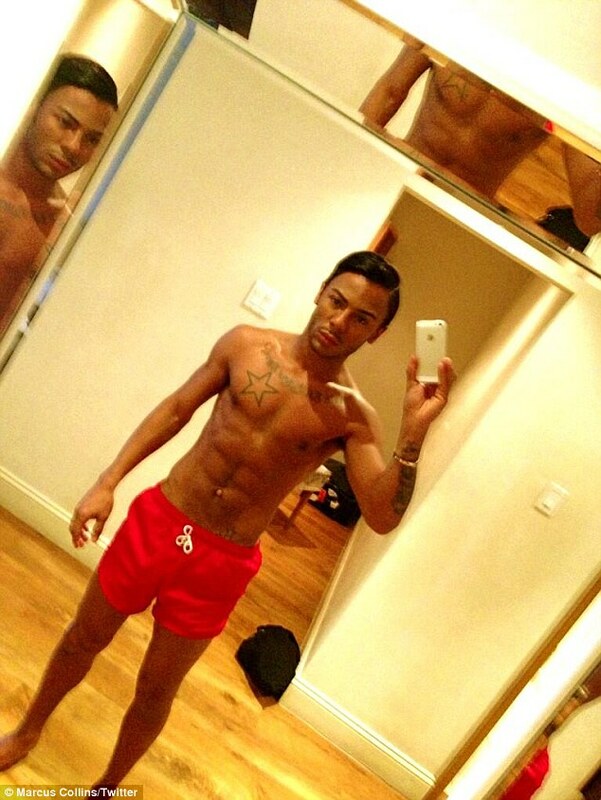 Marcus Collins Makes a Splash! After placing second to Little Mix in The X Factor he has enjoyed some chart success. But Marcus Collins is sure to be a hit at the beach as the singer took some time out of his schedule to soak up the sun in Barbados. Enjoying a day at the beach alongside his former boyfriend David Heath, the 24-year-old left very little to imagination as he made a splash in a pair of red swimming trunks. Putting his toned petite physique on show, Marcus appeared to be in high spirits as he embraced the lovely weather. Shielding his eyes from the glare of the sun, Collins matched his black Ray-Ban sunglasses to Heath’s wayfarers as they enjoyed one another’s company. Taking a seat underneath some palm trees, Marcus and David, who split last February, were seen popping open a bottle of champagne as they toasted to the good life. Proud of his ripped abdomen, last Saturday the Liverpudlian took to his Twitter account to post an image of himself in his Baywatch-esq trunks. Not one to hold back on personal compliments, Collins referred to himself as Barbie’s better half Ken as he stood pouting in front of a mirror. The caption on the image read: ‘Malibu ken off to swim with turtles! Haha have a great day! Bye tweeps x’. Now that his sunshine break to Barbados is over, Marcus is back under the spotlight as he plays the role of Seaweed Stubbs in Hairspray: The UK Tour. Opening up about his anxiety regarding the live shows, Collins admitted that he was ‘very apprehensive’ but ‘excited’ at the same time. He told Liverpool Echo: ‘I’m very apprehensive about it, I imagine the first couple of months I’ll be running straight to bed and will only be getting up to go to work because I’m going to be that tired.